Little OH! 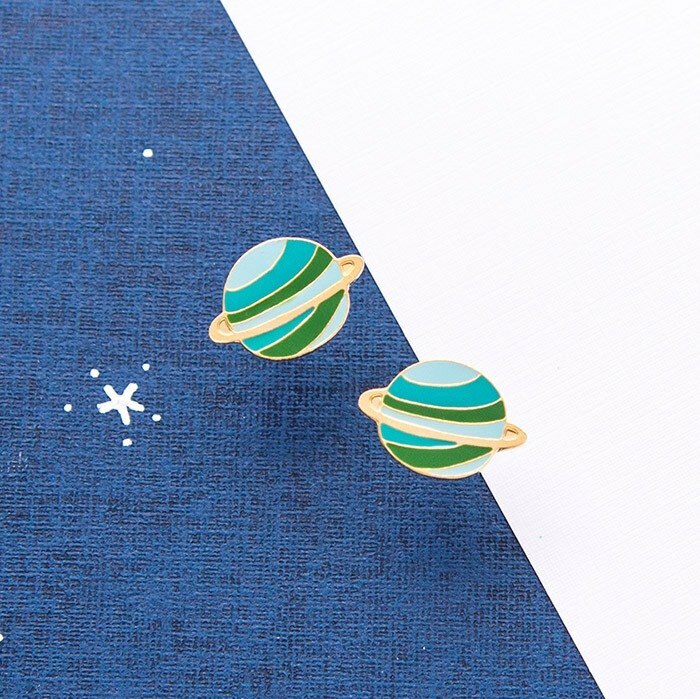 x sweet secret joint name Taiwan illustration X hand made earrings https://c1.staticflickr.com/3/2895/33540971812_cac3bed4ea_b.jpg The universe is always full of mystery and mystery. And you are my little universe, as beautiful as a meteor. Follow Little OH! with sweet secrets to travel in space! https://c1.staticflickr.com/3/2890/33568051191_42d8777334_b.jpg Want to see more sweet secret designs: https://www.pinkoi.com/store/sweetsecret | Product Content| Size about 1.1 cm Quantity: one pair (2) Style: Green Planet *This series of products can be purchased as a mix and match. Please indicate the required style in the remarks. * *If you choose a difficult person, please go to the three-group store. * https://www.pinkoi.com/product/Zv5SDEp5?category=2 | Notes | 📌 Please understand that handmade jewelry is not 100% perfect, each piece is hand-cut for production. The number of hand-made products is limited, please be considerable that there may be no stock. 若 If there is some scratch on the metal part, it is normal. 📌 珐琅 Use a toothpick to color and color manually. It is possible that the same design will have a slight color difference. | Maintenance method| 材质 The material is plated with 24 pure gold, which is very difficult to produce allergies. Because each body is different, the reaction to the material is different! 保持To maintain a bright color, please take it off in a special environment (Ex: swimming, seaside, hot spring) 避免 Avoid contact with chemicals (Ex: perfume) 📌 When not wearing, please put it in the zipper bag to seal it, avoid contact with air and keep the color 📌 After washing, rinse gently with water, wipe with a dry cloth and air dry. After drying, put it in a zipper bag. 请勿 Do not wipe with a silver cloth, it may damage the surface gold plating. | Return | 📌 earrings are sanitary products and will not accept returns 📌Return and exchange of other goods at your own expense | Other | 📌 Provide a small amount of universal card writing service (within 20 words) 📌 If you have a special gift date, you can let us know and we will try our best to cooperate with you. If you don’t have time to make the production, you will be informed :) 📌 Regardless of the details, welcome to us, we are happy to take the spot for your reference! Little OH! "Little Surprise" This is the warmth that I still want to enjoy when I return to Taiwan after I love to travel. https://c1.staticflickr.com/5/4545/24746706928_eaf33c9ff5_o.jpg Little OH! Handmade unique pieces. Taiwan designer Origin / manufacturing methods TAIWAN DESIGN. BKK HANDMADE.